These are one of our most popular products. We’ve designed and custom fitted hundreds of these across Sydney and Melbourne. 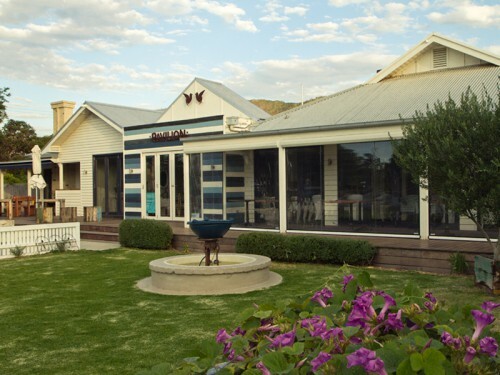 Cafe’s, bistros and restaurants love these blinds because they can extend their outdoor areas without exposing their customers to the elements. You can quickly increase your available floor capacity, allowing your patrons to stay longer. Customers end up spending more in an environment they find comfortable. As a restaurant owner, you need to invest in your outdoor areas so you can cater to those who enjoy fresh air, smokers and pet owners. However, to create a comfortable area you need more than just a bunch of tables and chairs. A form of cover , even if it’s partial, can provide protection against the elements, whether it’s Melbourne rain or the Sydney sun. Clear Blinds Australia can provide you with a completely bespoke solution that works with your particular areas. We come to your business in order to measure and custom fit our locally manufactured bistro, café and alfresco blinds. Because we only offer custom solutions, we can install a wide variety of outdoor bistro blinds depending on your specific needs and requirements. Everyone is different and no two areas are the same size. 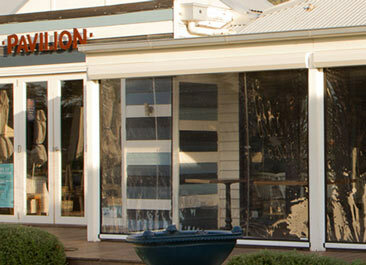 Bistro blinds can help to keep patrons warm in winter and cool in summer. Melbourne residents know all too well that in winter, café blinds and awnings can protect them from heavy rain, wind and occasional hail. By helping control airflow, the efficiency of existing heating solutions can be maximised. Increase the comfort of your customers by maintaining a warmer area for lower heating costs. In summer, awnings and side panels can protect patrons from direct sunlight, helping keep the area cool. Our shade bistro blinds are the perfect option to help keep people enjoying the weather by cooling down with drinks in the shade. The word Alfresco means dining outside. It is an excellent nook of a home (or any other building for that matter), which overlooks the surroundings and used for holding cozy conversations over dinners, partying or for any other recreational purposes. But sometimes, when you are in the mood to celebrate and enjoy in your Alfresco area, the weather can play spoilsport. For instance, the climate might turn extremely breezy, there can be a sudden downpour and let us not forget direct sunlight, which can make the temperature hot and unbearable. This is where Alfresco blinds enter the scene. Also known by other names such as – Patio Binds, Bistro Blinds or Café Blinds, these help you enjoy your life in your outdoor extension without any hassle and all year round. These blinds enclose an open space and make it a comfortable dining or leisure area. In fact, you can get various blinds in different hues and tints to match the décor of your property. This is why, apart from home owners, such blinds are highly preferred by café and restaurant owners. 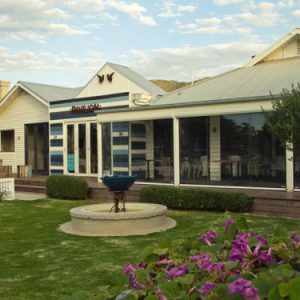 We at Awnings and Outdoor Blinds Australia, provide some of the top quality Alfresco blinds shade such as clear alfresco blinds in the country. We have a wide range of sleek Alfresco blinds, which fit effortlessly to your extension and transform the entire area into an impressive, entertainment zone. In short, we have perfected the art of creating, supplying and installing state-of-the-art alfresco blinds for our client base in Melbourne Victoria and Sydney New South Wales. So, whether you require alfresco blinds in Melbourne or alfresco blind in Sydney or anywhere else in Australia, all you need to do is to contact us and we will provide the apt product befitting your requirements. and we will get in touch with you. If you own a cafe, bistro or restaurant you want to do everything to ensure that your guests are comfortable. Comfortable guests will be happier, stay longer and ultimately spend more! Professional restaurant blinds are the answer. These are also known as, bistro blinds or cafe blinds. You’ll be able to add an elegant or casual touch to the room while creating the ideal level of light control. We custom make only high-quality shades that are attractive, durable, and highly functional. 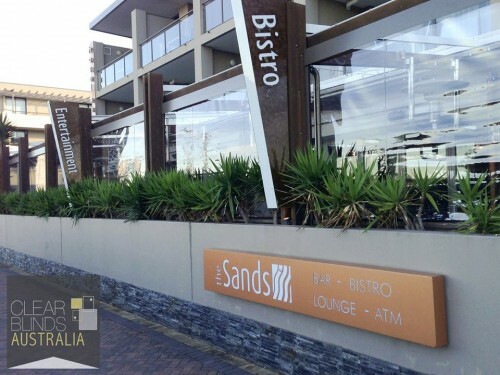 Cafe blinds in Sydney and Melbourne are put to the test when they’re in commercial buildings. The weather can be wild and unpredictable, so you need to invest in premium materials and stainless steel hardware which can survive against the elements. All too often, we are called out to repair or replace the existing blinds which have been torn apart from a previous cheaper installation. The wind gusts in Melbourne can be especially ferocious and it’s important that all the seams and joins are of high quality. It’s not just about the stitching, zips or attachments, the lower quality clear plastic even deteriorates quicker than the Japanese, marine quality product that we use. In Sydney, people tend to use the term bistro blinds instead. If you need bistro blinds in Sydney or Melbourne, give us a call because we’re talking about the same thing. 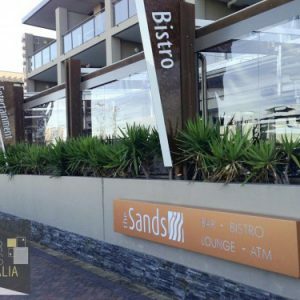 Restaurants tends to be a terms for an indoor establishment, but if you have an outdoor area like many of the restaurants in Melbourne, than you will more often than not, need umbrellas, blinds and awnings to help protect customers from the elements. Our service actually begins with an onsite measurements where one of our employees comes out to your place to give you a proper estimation. Blinds that fit perfectly look far better than ones with gaps or are oddly sized. After the measurement we can let you know how many spans you will require and which attachment systems will be suitable. There are so many options that we really need to talk to you first and understand your outdoor area first. Many restaurants choose to fit the blinds inside the window frames, but we also offer overlapping bistro blinds and colour-matched Ziptrak tracking technology to give you a clean, strong fit. With this style, you’ll hide the framework to keep the focus on your internal decorations. We can easily service any type of dining establishment, including cafes, fine restaurants, and bistros. We have an extensive selection of colours and styles to choose from, so you can put the perfect finishing touch on your business. Our design professionals will guide you through the entire process so that you can enjoy hassle-free service on every order. If you haven’t already, we recommend you investment in quality cafe blinds in Melbourne so that you can have a more comfortable dining atmosphere. We’re able to accommodate all types of styles ranging from rustic and casual to edgy and modern. We’ll treat you with respect and help you choose the ideal look for your needs. Rather than going with ready-made blinds that don’t quite fit or work, let us provide you with high-quality products that will look amazing and provide you with years of reliable service. As standard we offer a free measure and quote completely complimentary. Secure your consultation by calling 1300 736 110.